Moisturizing your skin with cleansing products and crèmes is a mandatory part of your beauty routine. There are so many skincare products available which are really good that I have decided to create a comparison review of my 5 favorite moisturizing creams! Moisturizing is not only good for your skin, but it will make your makeup and foundation look much better and will give you a fresher look. You can check out its other benefits here. Since I really can’t decide which one of these 5 moisturizers is my favorite, I have decided to make a comparison of them based on 3 features: their price tag, their quality and how healthy they are to use. QUALITY COMPARISON: IS IT REALLY WORTH IT? The texture of a product is always so important to me. The feel a moisturizer leaves on my skin determines to a high extent how satisfied I will be with it. I always prefer lighter textures when I won’t even notice I am wearing something on my face. So let’s start with the review! Crème de la Mer by La Mer is so soft and smooth and leaves my dry skin nice and hydrated from early morning. It contains scents of Lime Tea, which gives an additional feel of freshness. It also helps protect against pollution and environmental stress and gives your skin a pure glow. Miracle Broth, which is the secret healing elixir present in all the La Mer products, infuses the skin with sea-sourced renewing energies and is ideal for drier skin. I love freshness and products which remind me of spring such as this one. Even though I am young, I think investing in my skin is also an investment in my future look, and Crème de la Mer heals all the visible imperfections and pores. 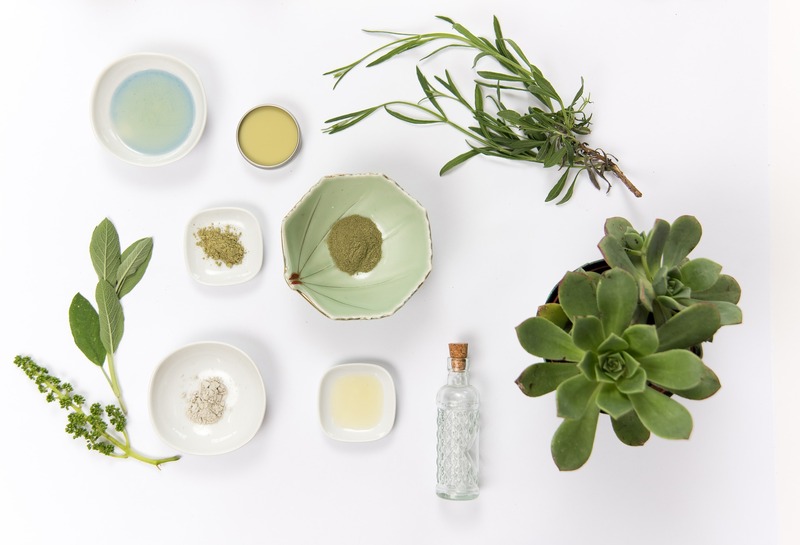 Sisley Ecological Compound contains plant extracts as Rosemary and Ginseng, which will have the revitalizing feature. I often use this cream before I put another one, as it has a matte texture that is a great foundation for other products. I usually apply this product twice a day, in the morning and at night before I go to sleep as it has a light, yet hydrating foundation. If you have normal skin, I think the Sisley Ecological Compound is good for you, but if your skin is a bit drier, I would recommend using another product on top of this one, which can be a bit pricey and annoying. Apply the Bobbi Brown Extra Repair Moisturizing Balm on Wednesdays, because it will give you an instant moisturizing effect and will help to keep your skin hydrated through the rest of the week. Containing shea butter and natural oils, this balm gives the skin an immediate boost and firmer look. Since it has a thick formula, I recommend applying it at nighttime, or during the day, if your skin is super dry. It is a bit difficult to apply but usually lasts for about 2 months for me. If your skin gets a bit irritated from all the stress, I would recommend trying this La Prairie Cellular Softening and Balancing lotion as it leaves your skin nice and soft and helps fight irritations. I did hear some people complaining that after using this toner, they experienced some breakouts but that was not the case for me. The product did leave my skin very clean, but since I purchased it for $128.00, I think it might be a bit overrated. The secret power of the Filorga Hydra-Filler Pro-Youth Moisturizer Care is that they use hyaluronic acid to replenish your skin. I actually did not know about this article until I went to Paris and a Frenchwoman in Sephora highly recommended it. I prefer using it when summer is slowly coming to an end, and your skin needs extra attention to recover from all the sunbathing. This moisturizer helps to fight with small wrinkles and its soft and light formula really makes it nice to use. Luckily, once I have checked the ingredients, I was also happy to find out that they have quite a good formula. INGREDIENT COMPARISON: HOW HEALTHY IS IT? No matter how good a moisturizer can feel on your face, the ingredients it contains should always have the final word. Unfortunately, a lot of people simply are not aware of the chemicals so many products contain and how harmful these can be for your skin. Let’s check it out! The percentage of high-risk ingredients, in this case, is quite high, with a lot of allergens present in the moisturizer. Furthermore, it contains a lot of alcohol that is bad for dry and sensitive skin. Alcohol decreases the body’s level of vitamin A making harder for the skin to fight off free radicals and dehydrating it. Even though it is sulfate and paraben-free, La Mer is not Acne safe, which is a bit of a disappointment. The good ingredients include Glycerin, which protects the skin and soothing extracts. Check out the full list of ingredients here. I really like that the Sisley Ecological Compound is alcohol-free which is good for the health of your skin, however, like most of the cosmetic products, it is not fragrance-free. It is not paraben-free, whose effects on the skin are still not so known. Some research shows that parabens can mimic the activity of the hormone estrogen in the body's cells. This preservative is usually used to prevent the growth of harmful bacteria and mold, in order to protect both the products and consumers. Check out the full list of ingredients here. Looking at the ingredients risk, compared to the two previous products, Bobbi Brown Extra Repair Moisturizing Balm is the safest product to use. It contains the Aloe Barbadensis Leaf Extract that is good for sensitive skin and the Brassica Campestris (Rapeseed) Seed Oil which helps in fighting acne. I was really positively surprised when I saw the ingredients as it contained so many different types of oil including grape, olive, sesame, rose, apricot, and wheat and jojoba oil. These are extremely good for your skin and therefore I would definitely recommend this product! Check out the full list of ingredients here. When looking at the ingredients, the La Prairie Cellular Softening and Balancing lotion does not score so high, as it is only sulfate-free and uses paraben, alcohol and does not fight against fungal acne. There were a lot of reviews where people felt burning skin sensation, and their skin and acne looked really bad after the use. As I did find the lotion good but was not amazed, I do not think this is the perfect purchase that will change your life. You can check out the full list of ingredients here. I was really surprised when I saw this formula, as it does not happen so often to find products that are good for your skin. Filorga Hydra-Filler Pro-Youth Moisturizer Care contains 3 ingredients that have notable brightening effects and contains Sodium Hyaluronate which promotes wound healing. I would definitely recommend it to girls with dry skin who don’t want to spend a fortune on their moisturizer! Compared to the rest of the products, the Filorga Hydra-Filler Pro-Youth Moisturizer Care is the healthiest to use, as it contains no allergens and alcohol, unlike the other moisturizers. You can check out the full list of ingredients here. PRICE COMPARISON: HOW MUCH MONEY ARE YOU WILLING TO SPEND? The final section of this comparison review is related to the price of the product. I do think that investing in your looks is important, but does price really mean quality? I have ranked these products by the Ingredient and Quality mark they have received so check if the price indicates the quality. This review has definitely left me surprised, as I did not expect such results. One of the biggest conclusions and things I have learned from this research is that the price of the product does not necessarily determine the quality of it. The Crème de la Mer by La Mer for instance, which ranked high on the price list, showed that it contained the highest percentage (14%) of high-risk ingredients. At one point, I thought that the bigger brand names actually are not completely honest with us and sell us unhealthy products, but luckily, the Bobbi Brown Extra Repair Moisturizing Balm gave me back some hope, as it has such a good, rich formula! Based on the quality, ingredients, and price, the winner of these 5 moisturizers is the Filorga Hydra-Filler Pro-Youth Moisturizer Care which actually is really good for your skin. I am definitely going to keep purchasing it in the future! Now that you know which moisturizer to use, check out this article to find your best foundation! I really wonder what you girls think about this review. Have you used any of these products and are you aware of their quality? Please let me know in the section below!